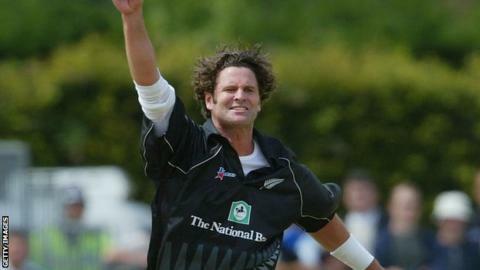 Former New Zealand all-rounder Chris Cairns has been told he will stand trial on perjury charges next October. A preliminary hearing at Southwark Crown Court on Thursday bailed the 44-year-old until the new year. The charges concern a 2012 libel action in the High Court in London where Cairns successfully sued Indian Premier League boss Lalit Modi over allegations he was involved in match-fixing. He will return to court on 16 January for a plea and case management hearing. A provisional date of 5 October 2015 has been agreed for the trial. Cairns, from Herne Bay, Auckland, was awarded £90,000 in damages two years ago after allegations on Twitter that he was involved in match-fixing. He has described claims he fixed matches as "absurd" and recently added that he would do "whatever it takes to again prove my innocence". He was interviewed by police in London earlier this year at his own request over the latest claims, which he denied. Cairns said in a statement earlier in the month that he was "extremely disappointed" to have been notified by the CPS that it was their intention to charge him with perjury. Andrew Fitch-Holland, a London barrister who appeared as a witness for Cairns at the libel trial, also appeared in court to face one charge of perverting the course of justice. The 49-year-old, from Saffron Walden, Essex, will return to court in January. Both men had previously appeared in court on 2 October, when they were bailed until 16 October.